Stock No. S261, Price: $200.00. 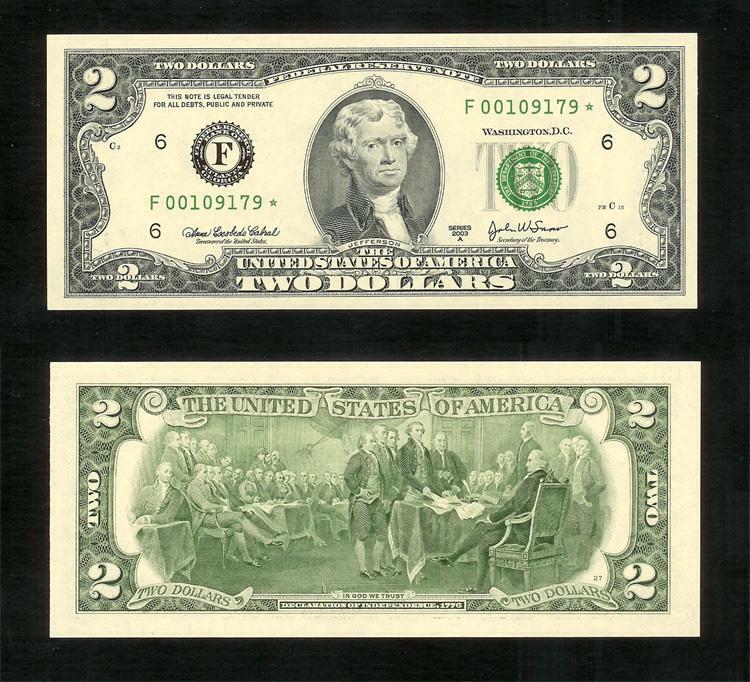 $2.00 FEDERAL RESERVE NOTE, Series of 2003A, Serial No. F00109179 STAR, GEM UNCIRCULATED. Only 320,000 of these Atlanta STARS were printed at the Fort Worth BEP. This example is crisp and pack fresh with GEM centering and margins.